The Burlington, Vermont area is the perfect city to base your Vermont fly fishing adventure. Likewise, if you are in town for vacation or business, a half or full day guided fly fishing trip is an amazing addition to what will surely be a great visit. We have miles of un-pressured trout water, both large rivers and small streams. 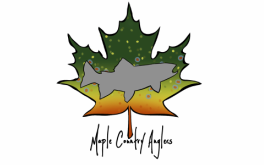 We also have the opportunity to target a whole batch of other species such as Small and Large Mouth Bass, Pike, and Pickerel in both rivers and lakes or ponds. Burlington is also located on Lake Champlain and is 30 minutes from Mt Mansfield, Vermont's largest mountain and offers much more than just fly fishing while you are here. While fishing with me you will see some unbelievable views of mountains, rolling hills, organic farms, covered bridges, and wildlife such as Moose, Bear and Deer. Burlington is Vermont's largest city, and boasts scenic views, great shopping, and nightlife. Burlington and the surrounding area is home to a huge number of local craft Breweries, and large ski resorts. It is also home to the University of Vermont, Burton Snowboards, and Ben and Jerry's is just down interstate 89. Winooski River Watershed- The Winooski River is one of Vermont's largest rivers. Flowing west through the spine of the Green Mountains it flows into lake Champlain right through Burlington. The upper two thirds of the river are home to wild and stocked Brook Trout, Brown Trout, and Rainbow Trout, with Rainbows being the most common in the areas we fish. Trophy Browns and Rainbows can be found in many of its deep pools and runs. As the river moves from Richmond into Essex, it becomes a great Small Mouth Bass fishery in what I call the middle river. The lower river below Salmon Hole in Winooski and Burlington has a small LL Salmon and Steelhead run, and just about any type of fish can be caught here. We mainly fish the upper and middle river and do occasionally guide for steelhead or salmon in the fall. The Winooski is great for drift boat trips and wade trips targeting both trout in the spring, early summer, and fall, and bass in the dog days of summer. August can be some of the best trout fishing of the year, particularly on dries, if we get cool weather and the water temps drop in to the 60's for a few days straight, during this time we see a good flying ant hatch as well as a nice Iso hatch which gets the fish really look at the surface and chasing the fast swimming nymphs. The Winooski is characterized by long riffles, leading in to deep pools and runs. There are seven major tributaries of the Winooski all containing our three species of trout. These rivers are great for wade fishing, and hold some surprisingly large trout. Each of these tribs have very different characteristics. The Dog River is a wild trout stream and is known for large browns. Depending on conditions we can be found either on the main stem or the tribs. Nymphs, dries and streamers will all work on the Winooski, while nyphing is the most productive method to fish the for most of the season. My favorite patterns are Zug Bugs, Pheasant Tails, Small Flashback Pheasant Tails, Red Copper Johns, Stoneflies, Lafontaine's Sparkle Pupa's and Soft Hackle Pupas, Stimulators, Adam's, Wulff's, and streamers in green, brown, gray and black. Once the water warms in the spring I will use a dry dropper rig for much of the season and when fish start looking up I will clip off my nymphs and add a second smaller dry to match whatever is hatching. Some quality dry fly fishing can be had if the timing is right. Lamoille River Watershed- The Lamoille River is another of Vermont's larger rivers. Like the Winooski, it runs west emptying into Lake Champlain 15 Minutes North of Burlington. All three species of trout live in the Lamoille's upper 2/3's of the river. The Lamoille contains Arrowhead lake in Milton, which is a reservoir and has great bass and pike fishing. The approximately 5 miles of river upstream from Arrowhead Lake contain Bass and stocked Trophy trout. Walleye can be caught in the spring running up to spawn. Below Arrowhead the river must be fished by motorboat. There is a small LL salmon run in the lower river. We fish the upper and middle stretches of the river for trout. The Lamoille is great for drift boat trips and wade trips targeting both trout in the spring, early summer, and fall, and bass in the dog days of summer. August can be some of the best trout fishing of the year, particularly on dries, if we get cool weather and the water temps drop in to the 60's for a few days straight, during this time we see a good flying ant hatch as well as a nice Iso hatch which gets the fish really look at the surface and chasing the fast swimming nymphs. There is a great stretch to run the drift boat that contains some very large wild Browns. This area also has good wading access. Below Cambridge we will occasionally drift for Small Mouth Bass and Brown Trout when the water is not too low. Arrowhead lake can be fished by canoe. The Lamoille tributaries again are home to Brook, Rainbow, and Brown Trout. There are some great wading options throughout the year on these midsize and small streams. Nymphs, dries and streamers will all are effective on the Lamoille as well, I have found that streamers seem to produce more consistently than on the Winooski. My favorite patterns are Zug Bugs, Pheasant Tails, Small Flashback Pheasant Tails, Red Copper Johns, Stoneflies, Lafontaine's Sparkle Pupa's and Soft Hackle Pupas, stimulators, Adam's, Wulff's, and streamers in green, brown, gray and black. Once the water warms in the spring I will use a dry dropper rig for much of the season and when fish start looking up I will clip off my nymphs and add a second smaller dry to match whatever is hatching. Some quality dry fly fishing can be had if the timing is right. VT Salmon and Steelhead Rivers- Vermont has a few very good small tributaries that run in to some of our larger area lakes. In the fall and spring good numbers of large lake run Steelhead and Land Locked Atlantic Salmon can be caught on the fly. This can be one of the most exciting fly fishing trips anywhere. There is a great possibility of hooking fish well over 20" and your angling ability will be put to the test if you are to land one of these bruisers. These are wade trips only. White River- The White flows through East Central Vermont to the Connecticut River. Another large river, it has some very deep pools and beautiful riffles with a lot of in stream structure. It is a great river to float in a drift boat, and reminds me most of a western type drift boat experience. There is the option to float 14 or more miles in a day. It is about 1 1/2 hours from Burlington, but it is worth the trip. We typically will float the White River if conditions on local rivers are not ideal due to high water, or we have special requests from customers.